The Birdist: Where Have New ABA Birds Been Found? Where Have New ABA Birds Been Found? 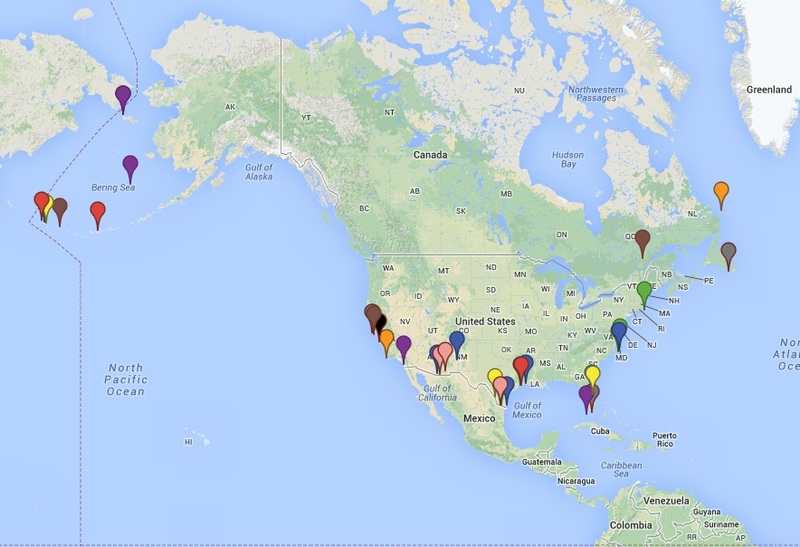 Below is a map of the locations of birds added to the ABA checklist since 2005. I expected everything to focused on Arizona and Attu, but there's actually a pretty good distribution around the borders of the country. These are birds that were added to the ABA list since 2005, but may have been sighted much earlier. The list doesn't include birds that have been seen recently but aren't yet on the list officially, like the Rufous-necked Wood-Rail. Click here to visit the interactive map. That's more or less what I would expect, though I'm surprised there aren't more along the Pacific Coast north of California. It may seem odd at first blush, but the terrain in coastal British Columbia and the Alaska panhandle -- and their relative inaccessibility -- probably leads to those areas being relatively under-birded.